Okay, so I promised more new young talent to come. He sold out the show here in Columbus before I even knew he was coming. Hozier. Brilliant. 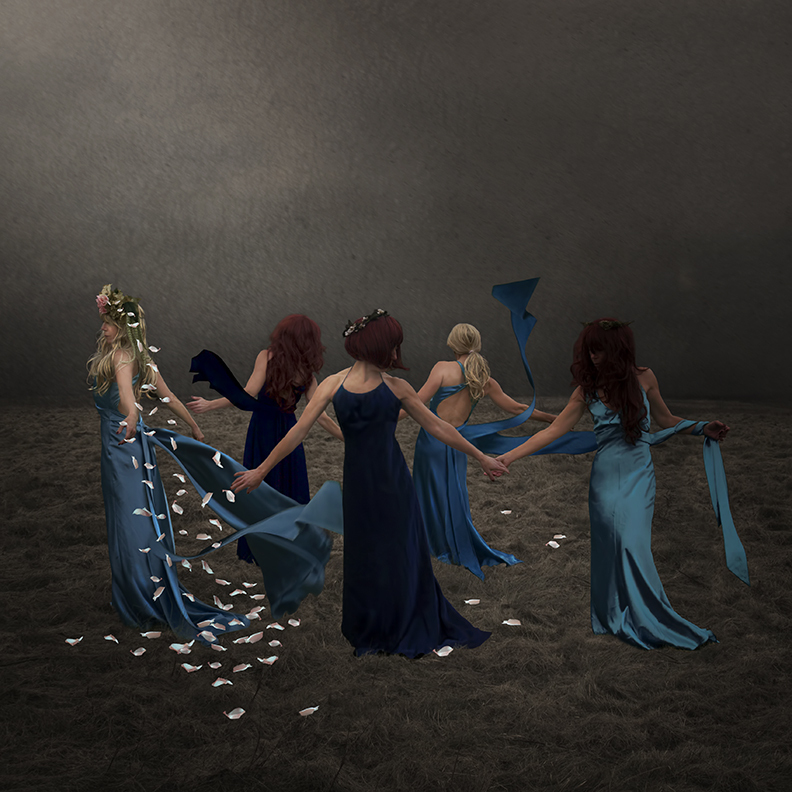 Had to do an image of his song “Someone New.” I just pictured all the girls that had gotten their hearts broken by the person in the song, so I had to show them together, holding hands. The one in the front is “Someone New.” After her, there will be someone else. Make sure to check out this amazing young artist, just 25, from Ireland, but if you are like everyone else, you already have. Awesome! 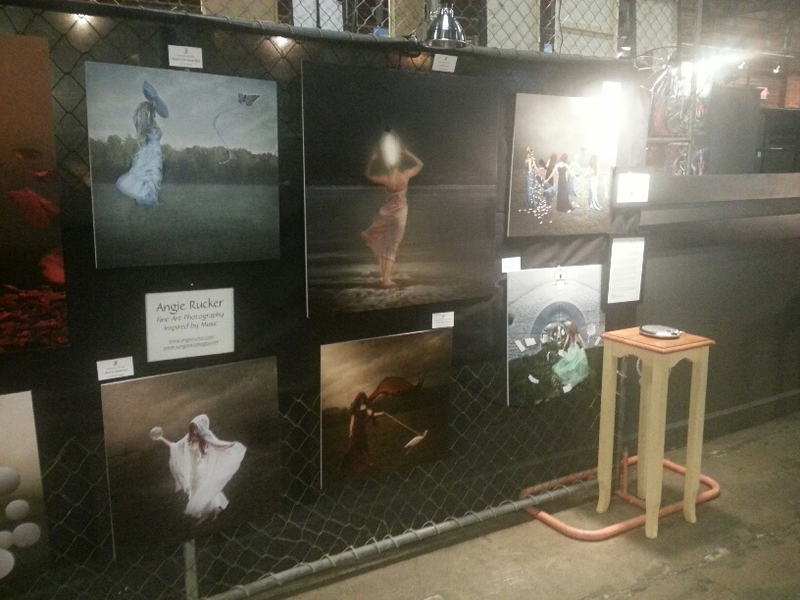 Had such an amazing experience at the RAWartists Columbus event. So many talented, kind, helpful people in one place. I feel so lucky to have been a part of it. The show was run so professionally and they did everything they could to help out the artists displaying their works. I was received really well and it left me feeling inspired to get out there and create! Haven’t posted any new photos lately because I was so busy getting ready for the show. Found an unbelievable custom printer in the Columbus area that did an amazing job for me…so lucky to have found someone that would give me personal attention and sit with me while we went through each photo to make sure the colors, etc. were just what I wanted. If you are in the Columbus area and need a custom printer, check out Mike Mignery at http://www.photo-graphiccreations.com. He was awesome! Here is a couple photos of the event. If there is a RAW event in your city, definitely go check it out! I have been lucky enough to have been selected by RAW Columbus to show my photography at their next artist showcase in Columbus called “VISIONARY ” and I could use some help. The event will be held at 503 S Front St @ Shadowbox Live on Tuesday , January 27th @ 7pm-11pm. This show is the big 2015 season launch and also the 1 year anniversary of RAW Artists in Columbus! They will be showcasing music, art, photography, fashion and a live DJ in between performances. Shadowbox also has a full bar and food for purchase. Not only can this event help me network with other great local artists and expose me to 400+ attendees, it can help me expand nationally as well. Here’s how: RAW is providing me with a video interview and b-roll footage of the event, as well as head shots and photos of my display to help me to further promote myself independently. I’ll be eligible to win the RAW artist of the year award locally and/or nationally. Thank you so much if you choose to sponsor or attend – or just for reading this far (ha), I couldn’t do this without you!